Native Indonesians are also known as Pribumi, literally meaning "sons of the soil", is a term that refers to a population group in Indonesia that shares a similar sociocultural heritage. 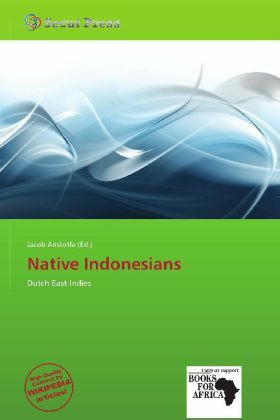 Translated from inlander in Dutch, the term was first coined by the Dutch colonial administration to lump diverse groups of local inhabitants of Indonesia's archipelago, mostly for social discrimination purposes. During the colonial period, the Dutch instilled a regime of three-level racial separation; the first class race being Europeans, the second class race being the "Foreign Orientals" (Vreemde Oosterlingen) which includes Chinese, Arabs, and Indians, the third class race being the "Inlander" or natives.